Repression for the majorities and “economic freedom” for small privileged groups are two sides of the same coin. It would seem to be a common-sensical sort of observation that economic policies are conditioned by and at the same time modify the social and political situation where they are put into practice. Economic policies, therefore, are introduced in order to alter social structures. If I dwell on these considerations, therefore, it is because the necessary connection between economic policy and its sociopolitical setting appears to be absent from many analyses of the current situation in Chile. To put it briefly, the violation of human rights, the system of institutionalized brutality, the drastic control and suppression of every form of meaningful dissent is discussed (and often condemned) as a phenomenon only indirectly linked, or indeed entirely, unrelated, to the classical unrestrained “free market” policies that have been enforced by the military junta. This failure to connect has been particularly characteristic of private and public financial institutions, which have publicly praised and supported the economic policies adopted by the Pinochet government, while regretting the “bad international image” the junta has gained from its “incomprehensible” persistence in torturing, jailing and persecuting all its critics. A recent World Bank decision to grant a $33 million loan to the junta was justified by its President, Robert McNamara, as based on purely “technical” criteria, implying no particular relationship to the present political and social conditions in the country. The same line of justification has been followed by American private banks which, in the words of a spokesman for a business consulting firm, “have been falling all over one another to make loans.” But probably no one has expressed this attitude better than the U.S. Secretary of the Treasury. After a visit to Chile, during which he discussed human rights violations by the military government, William Simon congratulated Pinochet for bringing “economic freedom” to the Chilean people. This particularly convenient concept of a social system in which “economic freedom” and political terror coexist without touching each other, allows these financial spokesmen to support their concept of “freedom” while exercising their verbal muscles in defense of human rights. It is curious that the man who wrote a book, Capitalism and Freedom, to drive home the argument that only classical economic liberalism can support political democracy can now so easily disentangle economics from politics when the economic theories he advocates coincide with an absolute restriction of every type of democratic freedom. One would logically expect that if those who curtail private enterprise are held responsible for the effects of their measures in the political sphere, those who impose unrestrained “economic freedom” would also be held responsible when the imposition of this policy is inevitably accompanied by massive repression, hunger, unemployment and the permanence of a brutal police state. These are the basic principles of the economic model offered by Friedman and his followers and adopted by the Chilean junta: that the only possible framework for economic development is one within which the private sector can freely operate; that private enterprise is the most efficient form of economic organization and that, therefore, the private sector should be the predominant factor in the economy. Prices should fluctuate freely in accordance with the laws of competition. Inflation, the worst enemy of economic progress, is the direct result of monetary expansion and can be eliminated only by a drastic reduction of government spending. This is not the place to evaluate the general validity of the postulates advanced by Friedman and the Chicago School. I want to concentrate only on what happens when their model is applied to a country like Chile. Here Friedman’s theories are especially objectionable—from an economic as well as a moral point of view—because they propose a total free market policy in a framework of extreme inequality among the economic agents involved: inequality between monopolistic and small and medium entrepreneurs; inequality between the owners of capital and those who own only their capacity to work, etc. Similar situations would exist if the model were applied to any other underdeveloped, dependent economy. From 1971 to 1973, most of the monopolistic and oligopolistic industries were nationalized and transferred to the public sector. However, the zeal with which the military dictatorship has dismantled state participation in the economy and transferred industries to foreign ownership suggests that levels of concentration and mo­nopolization are now at least as high as they were before the Popular Unity (Allende) Government. Friedman's theories propose a total free market policy in a framework of extreme inequality. An International Monetary Fund Report of May 1976 points out: “The process of returning to the private sector the vast majority of the enterprises which over the previous fifteen years, but especially in 1971-73, had become part of the public sector continued [during 1975]…. At the end of 1973 the Public Development Corpo­ration (CORFO) had a total of 492 enterprises, includ­ing eighteen commercial banks…. Of this total, 253 enterprises…have been returned to their former owners. Among the other 239 enterprises…104 (among them ten banks) have been sold; sixteen (including two banks) have already been adjudicated, with the completion of the transfer procedure being a matter of weeks; the sale of another twenty-one is being negotiated bilaterally with groups of potential buyers.” Competitive bidding is still to be solicited for the remaining enterprises. Ob­viously the buyers are always a small number of powerful economic interests who have been adding these enter­prises to the monopolistic or oligopolistic structures with­in which they operate. At the same time, a considerable number of industries have been sold to transnational corporations, among them the national tire industry (INSA), bought by Firestone for an undisclosed sum, and one of the main paper pulp industries (Celulosa Forestal Arauco), bought by Parsons & Whittemore. There are many other examples to show that, as far as competition goes, Mr. Friedman’s prescription does not yield the economic effects implicit in his theoretical model. In the first half of 1975, as part of the process of lifting regulations from the economy, the price of milk was exempted from control. With what result? The price to the consumer rose 40 percent and the price paid to the producer dropped 22 percent. There are more than 10,000 milk producers in Chile but only two milk processing companies, which control the market. More than 80 percent of Chilean paper production and all of certain types of paper come from one enterprise—the Compañia Manufacturera de Papeles y Cartones, controlled by the Alessandri interests—which establishes prices without fear of competition. More than fifteen foreign brands are offered in the Chilean home appliances market, but they are all in the hands of only three companies, which assemble them in Chile and determine their retail prices. Of course, any of the followers of the Chicago School would say that, with the liberalization of the interna­tional market, as prescribed by the model, Chilean monopolies and oligopolies would be exposed to competition from abroad. However, that does not happen. Chile so lacks foreign currency that it cannot import what it needs, of even the most essential goods. Still more important is the fact that foreign enterprises are not interested in sending to Chile goods which could compete with those, manufactured by their own Chilean subsidiaries. Besides, in Chile the economic interests which control the manu­facturing industry also control the financial apparatus and import activities. These groups are not disposed to compete with themselves. In short, the application of Friedman’s theories to the real world of Chile means that the industrialists can freely “compete” at whatever price levels they choose. But the crux of Friedman’s prescription, as the junta never ceases to emphasize, is control of inflation. It should, according to the junta, enlist “the vigorous efforts of all Chileans.” Professor Harberger declared categori­cally in April 1975: “I can see no excuses for not stop­ping inflation: its origins are well known; government deficits and monetary expansion have to be stopped. I know you are going to ask me about unemployment; if the government deficits were reduced by half, still the rate of unemployment would not increase more than 1 percent.” According to the junta’s official figures, between April and December 1975, the government deficit was reduced by approxi­mately the 50 percent that Harberger recommended. In the same period, unemployment rose six times as much as he had predicted. The remedy he continues to advocate consists of reducing government spending, which will reduce the amount of currency in circulation. This will result in a contraction of demand, which in turn will bring about a general reduction of prices. Thus inflation would be defeated. Professor Harberger does not say explicitly who would have to lower their standard of living to bear the casts of the cure. Without a doubt, excessive monetary expansion con­stitutes an important inflationary factor in any economy. However, inflation in Chile (or any underdeveloped country) is a far more complex problem than the one presupposed by the mechanical models of the monetarist theorists. The followers of the Chicago School seem to forget, for example, that the monopolistic structure of the Chilean economy allows the dominant firms to maintain prices in the face of falling demand. They also forget the role that so-called inflationary expectations play in generating price increases. In Chile, inflationary expecta­tions have lately been approximating 15 percent per month. Looking ahead, firms prepare for rising costs by raising their own prices. This continuous price “leap-frogging” feeds a general inflationary spiral. On the other hand, in such an inflationary climate, no one with liquid assets wants to hold them. Powerful interest groups, operating without government control, can thus manipulate the financial apparatus. They create institutions to absorb any available money and use it in various forms of speculation, which thrive on and propel inflation. Three years have passed since this experiment began in Chile and sufficient information is available to con­clude that Friedman’s Chilean disciples failed—at least in their avowed and measurable objectives—and particu­larly in their attempts .to control inflation. But they have succeeded, at least temporarily, in their broader purpose: to secure the economic and political power of a small dominant class by effecting a massive transfer of wealth from the lower and middle classes to a select group of monopolists and financial speculators. The empirical proof of the economic failure is over­whelming. On April 24, 1975, after the last known visit of Messrs. Friedman and Harberger to Chile, the junta’s Minister of Finance, Jorge Cauas, said: “The Hon. junta have asked me to formulate and carry out an economic program primarily directed to eradicate inflation. To­gether with a numerous group of technicians, we have presented to the Chilean authorities a program of eco­nomic revival which has been approved and is begin­ning. The principal objective of this program is to stop inflation in the remainder of 1975.” (The “group of technicians” is obviously Friedman and company.) By the end of 1975 Chile’s annual rate of inflation had reached 341 percent—that is, the highest rate of inflation in the world. Consumer prices increased that same year by an average 375 percent; wholesale prices rose by 440 percent. Analyzing the causes of Chilean inflation in 1975, a recent report of the International Monetary Fund (IMF) says: “The cutback in government spending, with its adverse effects on employment, in housing, and public works, went significantly further than programmed in order to accommodate the large credit demands of the private sector.” Later on it states: “Overall monetary management remained expansionary in 1975. Moreover, continued high inflationary expectations and the public’s attendant unwillingness to increase its real cash balances greatly complicated the implementation of the monetary program.” Referring to private organizations which have begun to operate without any control, the report adds that the “financieras” have been allowed to operate beside the commercial banking system and at interest rates up to 59 percent higher than the maximum permissible banking rate. According to the same source, the “financieras” were operating in 1975 at an interest rate of 14 percent a month, or 168 percent a year; they obtained loans in New York at 10 percent to 12 percent a year. Concentration of wealth is not the marginal outcome of a difficult situation, but the base for a social project. The inflationary process, which the junta’s policies stimulated immediately after the coup, was slightly reduced in 1975 as compared to the unbelievable rate of 375.9 percent in 1974. Such a minor reduction, however, does not indicate any substantial approach to stabilization and seems on the whole utterly irrelevant to the majority of Chileans who must endure the total collapse of their economy. This situation recalls the story of a Latin Amer­ican dictator at the beginning of this century. When his advisers came to tell him that the country was suffer­ing from a very serious educational problem, he ordered all public schools closed. Now, more than seventy years into this century, there still remain disciples of the anec­dotal dictator who think that the way to eradicate pov­erty in Chile is to kill the poor people. The exchange rate depreciations and the cutbacks in governmental expenditures have produced a depression which, in less than three years, has slowed the country’s rate of development to what it was twelve years ago. Real Gross Domestic Product (GDP) contracted during 1975, by nearly 15 percent to its lowest level since 1969, while, according to the IMF, real national income “dropped by as much as 26 percent, leaving real per capita income below its level ten years earlier.” The decline in the overall 1975 GDP reflects an 8.1 percent drop in the min­ing sector, a 27 percent decline in the manufacturing indus­tries and a 35 percent drop in construction. Petroleum extrac­tion declined by an estimated 11 percent, while transport, storage and communications declined 15.3 percent, and com­merce fell 21.5 percent. In the agricultural sector production appears virtually stagnant in 1975-76, with only an 0.4 percent variation from the previous agricultural year. This stagnation has been caused by a combination of factors, including the con­tinued rise in the cost of imported fertilizers and pesticides. The use of fertilizer dropped by an estimated 40 percent in 1975-76. The increase in import prices also accounted for the decline in production of pork and poultry, which are almost entirely dependent on imported feed. The re­turn to the former owners of several million hectares of farm land that had been expropriated and transferred to peasant organizations under the 1967 Agrarian Re­form Law, has also reduced agricultural production. As of the end of 1975 almost 60 percent of all agricultural es­tates affected by the land reform—equivalent to about 24 percent of total expropriated land—has been subject to the junta’s decisions. Of this total, 40 percent of the agricul­tural enterprises (75 percent of the physical acreage and more than 50 percent of the irrigated land) have entirely reverted to former owners. In the external sector of the economy, the results have been equally disastrous. In 1975 the value of exports dropped 28 percent, from $2.13 billion to $1.53 billion, and the value of imports dropped 18 percent, from $2.24 billion to $1.81 billion, thus showing a trade deficit of $280 million. Imports of foodstuffs dropped from $561 mil­lion in 1974, to $361 million in 1975. In the same period domestic food production declined, causing a drastic reduction in food for the masses of the popula­tion. Concurrently, the outstanding external public debt repayable in foreign currency increased from $3.60 bil­lion on December 31, 1974, to $4.31 billion on Decem­ber 31, 1975. This accentuated Chile’s dependence on ex­ternal sources of financing, especially from the United States. The junta’s policies have burdened Chile with one of the highest per capita foreign debts in the world. In the years to come the nation will have to allocate more than 34 percent of its projected exports earnings to the pay­ment of external debts. But the most dramatic result of the economic policies has been the rise in unemployment. Before the coup, unemployment in Chile was 3.1 percent, one of the lowest in the Western Hemisphere. By the end of 1974, the jobless rate had climbed beyond 10 percent in the Santiago metro­politan area and was also higher in several other sections of the country. Official junta and IMF figures show that by the end of 1975 unemployment in the Santiago metro­politan area had reached 18.7 percent; the corresponding figure in other parts of the country was more than 22 percent; and in specific sectors, such as the construction industry, it had reached almost 40 percent. Unemployment has con­tinued to climb in 1976 and, according to the most conservative estimates, in July approximately 2.5 million Chileans (about one-fourth of the population) had no income at all; they survive thanks to the food and cloth­ing distributed by church and other humanitarian organi­zations. The attempts by religious and other institutions to ease the economic desperation of thousands of Chilean families have been made, in most cases, under the sus­picion and hostile actions of the secret police. The inhuman conditions under which a high percentage of the Chilean population lives is reflected most dramati­cally by substantial increases in malnutrition, infant mortality and the appearance of thousands of beggars on the streets of Chilean cities. It forms a picture of hunger and deprivation never seen before in Chile. Families re­ceiving the “minimum wage” cannot purchase more than 1,000 calories and 15 grams of protein per person per day. That is less than half the minimum satisfactory level of consumption established by the World Health Organization. It is, in short, slow starvation. Infant mortality, reduced significantly during the Allende years, jumped a dramatic 18 percent during the first year of the military government, according to figures provided by the U.N. Economic Commission for Latin America. To deflect criticism from within its own ranks against the brutal consequences of layoffs, the junta in 1975 established a token “minimum employment program.” However, it covers only 3 percent of the labor force, and pays salaries amounting to less than $30—a month! Although the economic policies have more mercilessly affected the working classes, the general debacle has sig­nificantly touched the middle-class as well. At the same time, medium-size national enterprises have had their expectations destroyed by the reduction in demand, and have been engulfed and destroyed by the monopolies against which they were supposed to compete. Because of the collapse of the automobile industry, hundreds of machine shops and small industries which acted as sub­contractors have faced bankruptcy. Three major textile firms (FIAD, Tomé Oveja and Bellavista) are working three days a week; several shoe companies, among them Calzados Bata, have had to close. Ferriloza, one of the main producers of consumer durables, recently declared itself bankrupt. Facing this situation, Raul Sahli, the new president of the Chilean Industrialists’ Association, and himself linked to big monopolies, declared earlier in the year: “The social market economy should be applied in all its breadth. If there are industrialists who complain because of this, let them go to hell. I won’t defend them.” He is so quoted by André Gunder Frank in a “Second Open Letter to Milton Friedman and Arnold Harberger,” April 1976. The nature of the economic prescription and its results can be most vividly stated by citing the pattern of domestic income distribution. In 1972, the Popular Unity Govern­ment employees and workers received 62.9 percent of the total national income; 37.1 percent went to the propertied sector. By 1974 the share of the wage earners had been reduced to 38.2 percent, while the participation of property had in­creased to 61.8 percent. During 1975, “average real wages are estimated to have declined by almost 8 percent,” according to the International Monetary Fund. It is probable that these regressive trends in income distribution have con­tinued during 1976. What it means is that during the last three years several billions of dollars were taken from the pockets of wage earners and placed in those of capi­talists and landowners. These are the economic results of the application in Chile of the prescription proposed by Friedman and his group. They have failed to destroy the consciousness of the Chilean people. The economic plan has had to be enforced. Between 1970 and 1973, the working classes had access to food and clothing, to health care, housing and education to an extent unknown before. These achievements were never threatened or diminished, even during the most difficult and dramatic moments of the government’s last year in power. The priorities which the Popular Unity had established in its program of social transformations were largely reached. Orlando LetelierOrlando Letelier was Chilean Ambassador to the United States and Minister of Foreign Affairs under President Salvador Allende. 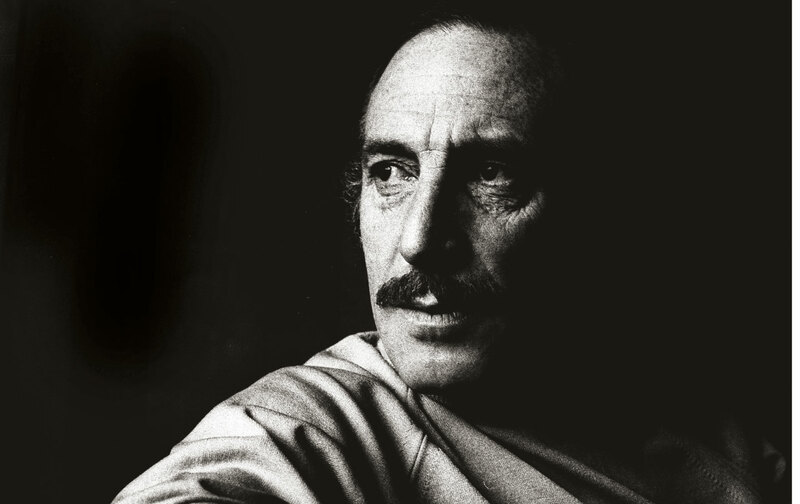 After the 1973 coup, Letelier moved to Washington, D.C., and became a senior fellow at the Institute of Policy Studies. He was assassinated in Washington on September 21, 1976.